This is the lower of two very pretty waterfalls. 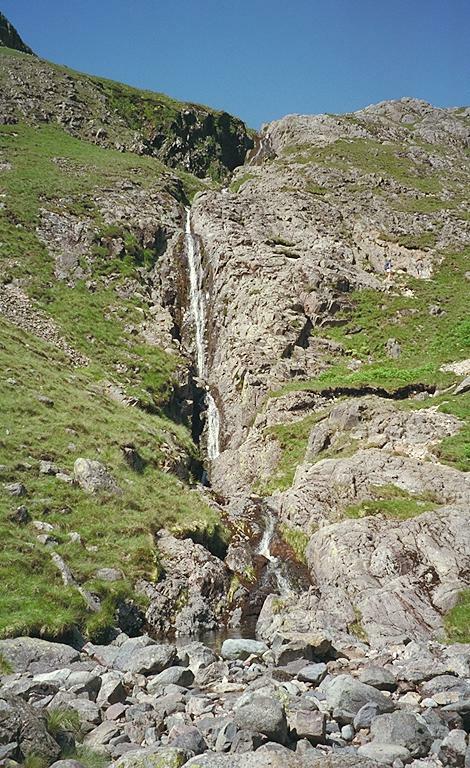 A well-used path up to Mickledore follows this beck on the right-hand side. Smaller version of this picture.